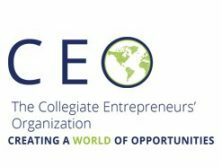 ACU’s chapter of the Collegiate Entrepreneurs’ Organization (CEO) won best overall chapter in the nation at the CEO National Conference Oct. 27-29 in Tampa, Fla.
ACU students also won best chapter business with Wildcat Ventures. This is the second year in a row for ACU to win in both categories. ACU competed against more than 250 chapters from across the United States, including chapters from Texas Tech, Texas Christian, Texas State and Texas A&M universities. The ACU chapter is a student-led organization that spreads the entrepreneurial spirit on campus through its speaker series, Startup Week, networking events, an annual service trip and more. As part of a national organization, it allows student the opportunity to network not only with their student peers but with fellow entrepreneurs in the business world.